Tickets will go on sale 10 a.m. on Friday, November 16. At that time, tickets may be purchased online through Live Nation, Ticketmaster or at the Toledo Zoo Box Office, open daily 10 a.m. – 5 p.m. Each ticket purchased in person through the Zoo’s Box Office is subject to a nominal handling fee. Celebrating timeless songs and a commitment to spreading positivity, Earth, Wind & Fire has consistently made music that has bridged the gap among all generations and nationalities. With a sound that blends funk, jazz, pop, soul and R&B, Earth, Wind & Fire launched a musical genre that cannot be confined to a specific label except their own. Whether it is the funky and infectious “Let’s Groove” to the timeless dance classic “September” to the heartfelt “Reasons,” Earth, Wind & Fire’s catalog of hits has become the soundtrack many lives; now, then and forever. Tickets will go on sale 10 a.m. on Friday, March 15. 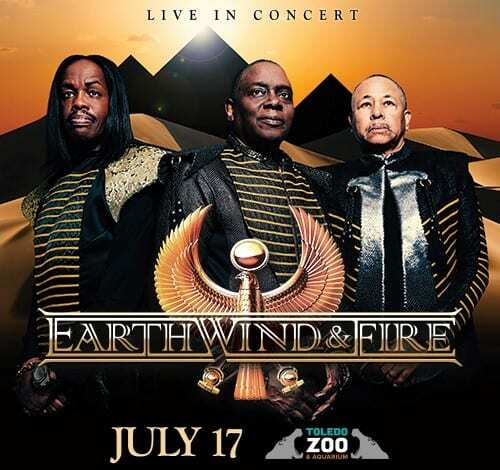 At that time, tickets may be purchased online through Live Nation, Ticketmaster or at the Toledo Zoo Box Office, open daily 10 a.m. – 5 p.m. Each ticket purchased in person through the Zoo’s Box Office is subject to a nominal handling fee. Trevor Noah is the most successful comedian in Africa and is the host of the Emmy® and Peabody® Award-winning “The Daily Show” on Comedy Central. This past year, “The Daily Show” was nominated for a Writers Guild Award (Comedy/Variety Series) and a GLAAD award for Outstanding Talk Episode, as well as two NAACP Image Awards for Outstanding Talk Series and Outstanding Host in a Talk or News/Information Show. Noah also recently won Best Host at the 2017 MTV Movie & TV Awards, as well as a Creative Arts Emmy Award for Outstanding Short Form Variety Series for his hosting role on “The Daily Show–Between The Scenes.” He joined “The Daily Show with Jon Stewart” in 2014 as a contributor. In addition to his nightly show, Noah has also hosted nine comedy specials, authored a best-selling book, “Born a Crime: Stories from a South African Childhood,” and sold out shows on five continents. Tickets will go on sale 10 a.m. on Friday, April 19. 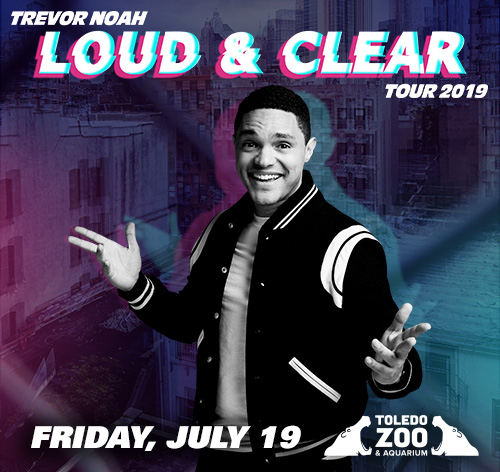 At that time, tickets may be purchased online through Live Nation, Ticketmaster or at the Toledo Zoo Box Office, open daily 10 a.m. – 5 p.m. Each ticket purchased in person through the Zoo’s Box Office is subject to a nominal handling fee. 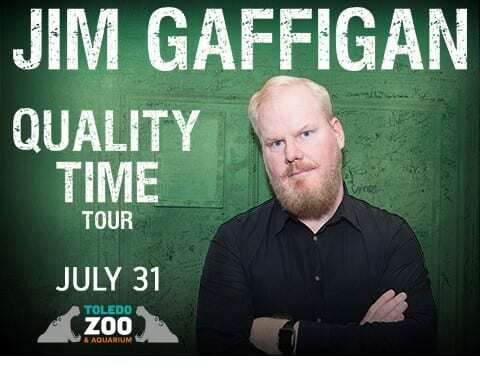 Jim Gaffigan is a Grammy nominated comedian, actor, writer, producer, two-time New York Times best-selling author, top touring performer and multi-platinum-selling father of five. He is known around the world for his unique brand of humor which largely revolves around fatherhood and his observations on life. He is one of only ten comics in history to sell out Madison Square Garden and had the honor of performing for Pope Francis and over 1 million attendees at the Festival of Families in Philadelphia. Gaffigan, one of the world’s highest grossing stand-up comedians, is currently on his Noble Ape international arena and theater comedy tour. Tickets may be purchased online through Live Nation, Ticketmaster or at the Toledo Zoo Box Office, open daily 10 a.m. – 5 p.m. Each ticket purchased in person through the Zoo’s Box Office is subject to a nominal handling fee. Toledo Zoo Members enjoy summer concert benefits! Zoo members receive advanced notice of upcoming concerts and are able to purchase tickets before the general public. It's just one of the many benefits of a Toledo Zoo membership! 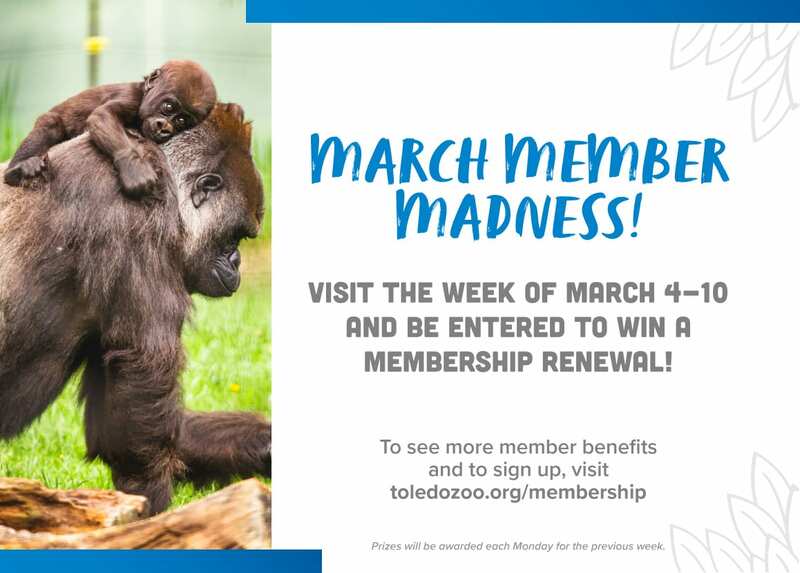 Become a Toledo Zoo member today! • Concerts are rain or shine. Umbrellas are not permitted (rain ponchos are allowed). No bottles, cans, food, or professional cameras are allowed. • The Toledo Zoo is not responsible for booking the Summer Concert Series, nor are we responsible for canceling them due to weather. Unless otherwise determined by LiveNation, refunds will not be given in the event of rain. • While Will Call tickets are available at both the Anthony Wayne Trail entrance and the Broadway entrance on concert nights, we recommend using the Anthony Wayne Trail entrance for your Will Call tickets. 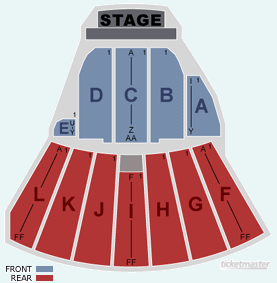 • On concert days, ticket sales are available at the Broadway Street box office (entrance gate) at 6 p.m. Doors open one hour before the performance starts. • We recommend that you use our main parking lot off Anthony Wayne Trail (OH25) for easier access. We also recommend that you arrive early for parking so you have time to walk to the Amphitheatre from the Anthony Wayne Trail entrance. Click here to see a detailed map. 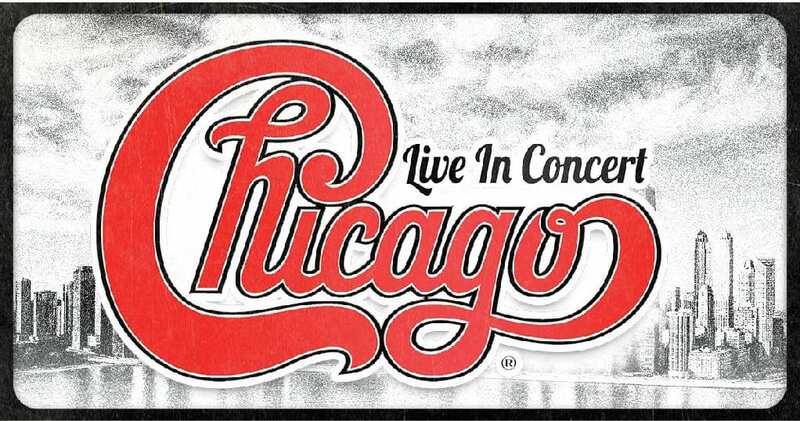 For additional concert information, visit www.livenation.com.